Anyone's a fan of Park Shin Hye? 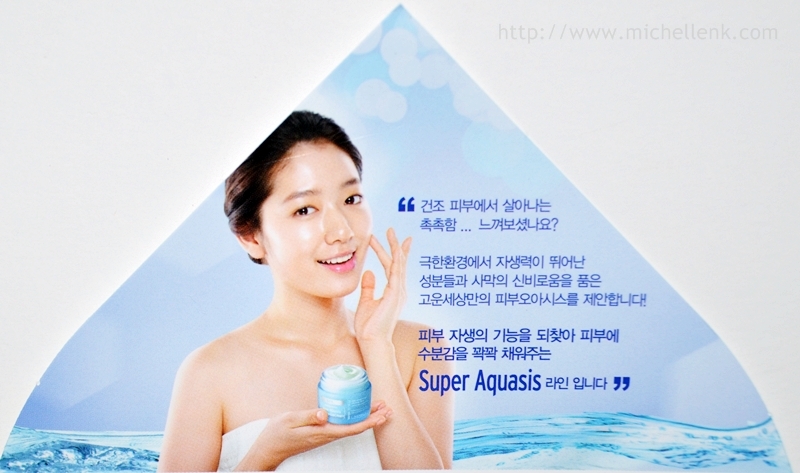 If you are, here's a piece of news for you if you love her flawless skin! 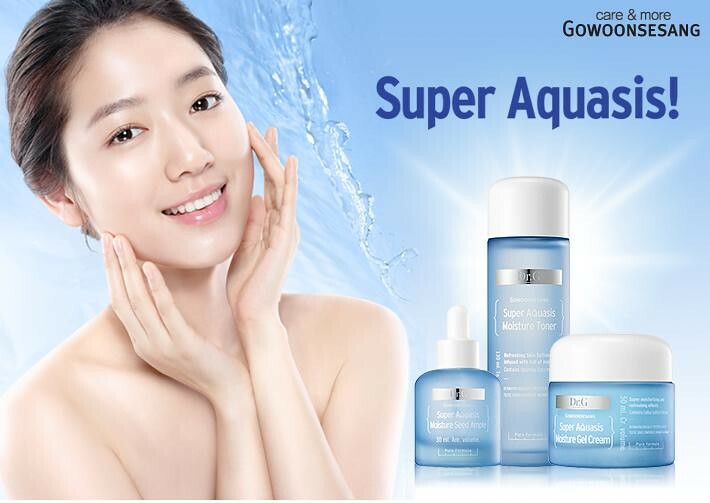 Endorsed by Korean celebrity, Park Shin Hye, Gowoonsesang Cosmetic launched a new series of product line, Dr G Super Aquasis Line! 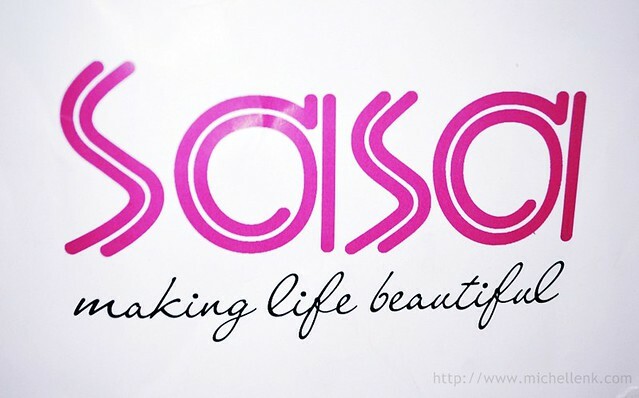 Gowoonsesang Cosmetics (CEO: Dr. 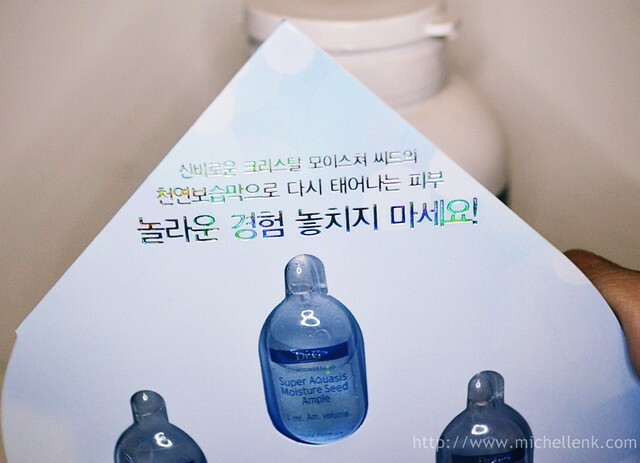 Gun Young, Ahn) has made its official launch of ‘Dr G Super Aquasis Line’ which offers sustainable moisturizing to renew your skin’s vitality by providing unique Aqua energy to skin. 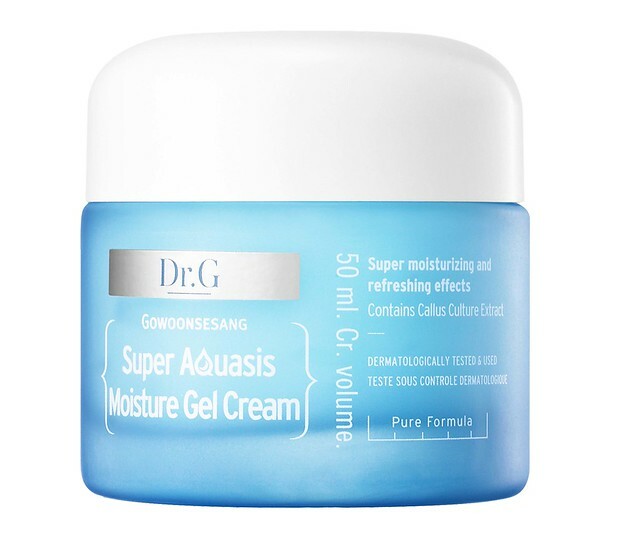 Newly launched ‘Dr G Super Aquasis Line’ of Gowoonsesang Cosmetics introduces Dr G 3-step Aqua Building System (Step.1: Unlock moisture supply path, Step.2: Provide moisture, Step.3: Apply protective moisture film) to make a healthy and watery-elastic skin through the solution for fundamental skin concern - dehydration. 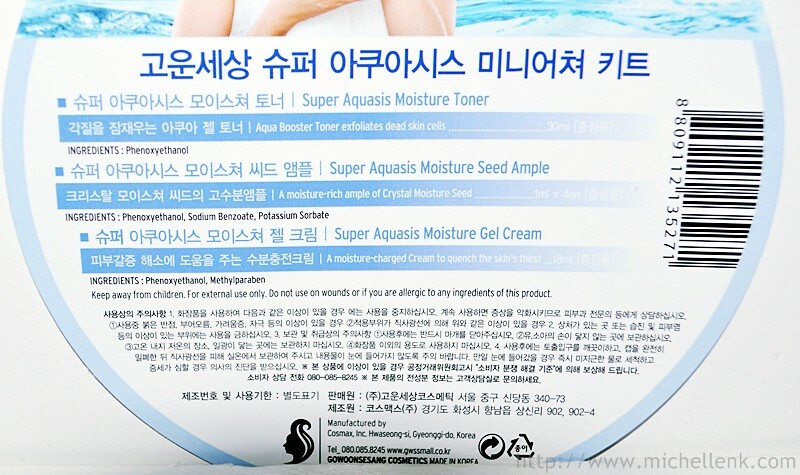 Gowoonsesang ‘Dr G Super Aquasis Line’ contains Opuntia Coccinelifera Fruit Extract, Argan Oil, and Marine Water to provide sufficient moisture into the skin to soothe flaky keratin, and contains Crystal Moisture Seed, which has a similar structure to dermal phospholipid, to provide a water-retaining protective film on skin, and keep your skin feels moisturized for long. Also it contains Abyssine protects the skin from outer harmful environments while soothing the irritated and flushed skin by strong UV rays. 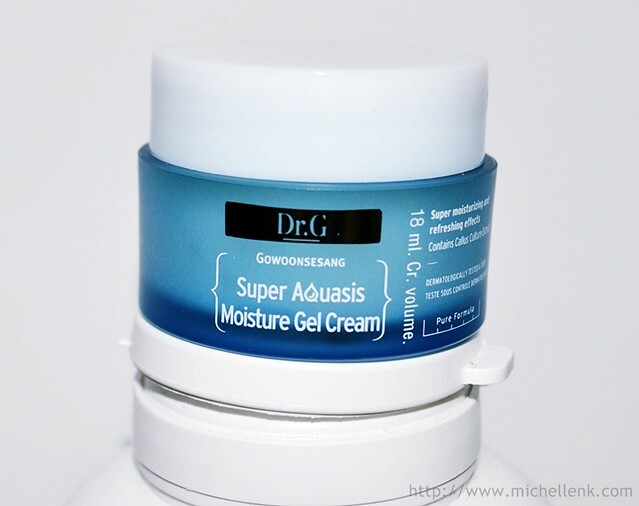 Gowoonsesang Cosmetic ‘Dr G Super Aquasis Line’ offers uniquely magnificent refreshment and moisture as the water drop bursts on skin, leading to naturally clear and moisturized skin. 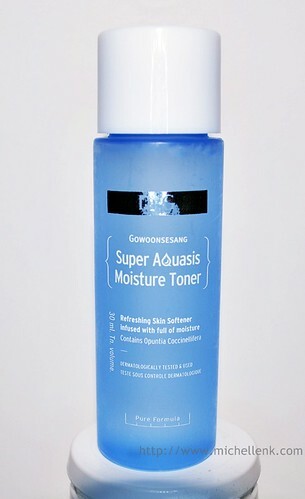 The full line-up of Gowoonsesang Aquasis Line is comprised of Toner, Ample, and Cream. A starter toner containing water-retaining Opuntia Coccinellifera Fruit Extract to sooth flaky keratin to prevent the evaporation of water and provide elasticity and moisture to the skin. 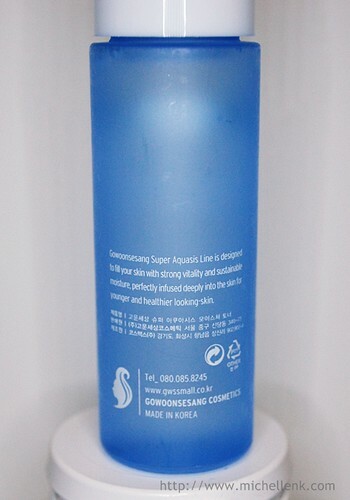 It is an Aqua Toner containing Sea Water enriched with an abundant mineral provides a sensation of moisture to skin for ideal preparation of next step. A slightly more concentrated toner than what we usually see on the market. Its thick consistency really preps the skin for the next step. Skin will feel slightly smoother and hydrated. 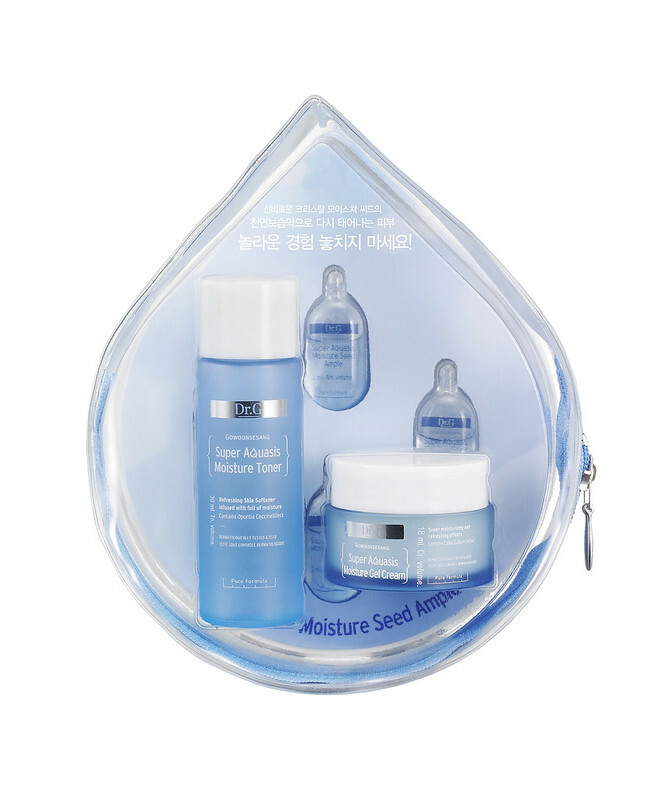 A highly concentrated moisture ample to provide a water-retaining protective film and radiance as it contains a Crystal Moisturizing Seed similar to cholesterol: a dermal phospholipid component. 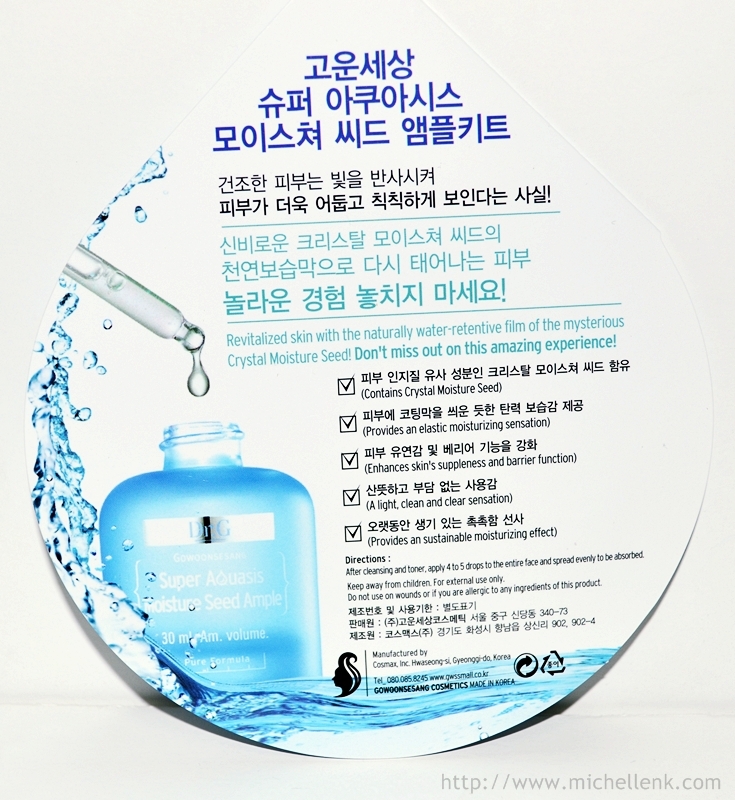 It protects moisture in skin to prevent skin dryness as its refreshing touch of moisture applies protective film on skin. Honestly, one small "vial" of the ample lasted me for, think, quite a few times. Just a tiny little pea size is enough for my whole face and neck. Instead of the normal rather liquid state ample, Dr G ample is rather concentrated and I noticed that there are actually some kind of sparkling particles on the ample, which I assumed its the crystal moisture seed? I'm not really sure what it is though, but I just know that it really absorbs into my skin real fast. Personally, I love the smell of the ample too, it actually leaves my face smelling great while moisturizing. Haha! 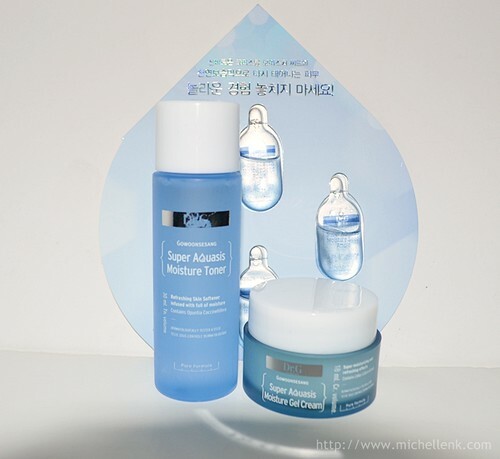 A moisture gel cream that provides uniquely magnificent refreshment and moisture as the water drop bursts on skin, and containing Sea Water enriched with an abundant mineral and the Resurrection Plant Callus Culture Extract help to quench the thirst of skin tired in the heat, and support the natural functions of skin, leading to naturally clean and clear skin. Apply a protective moisture film on skin to protect skin from outer stimulating factors for healthy and elastic skin texture. This will be my favorite of the lot! 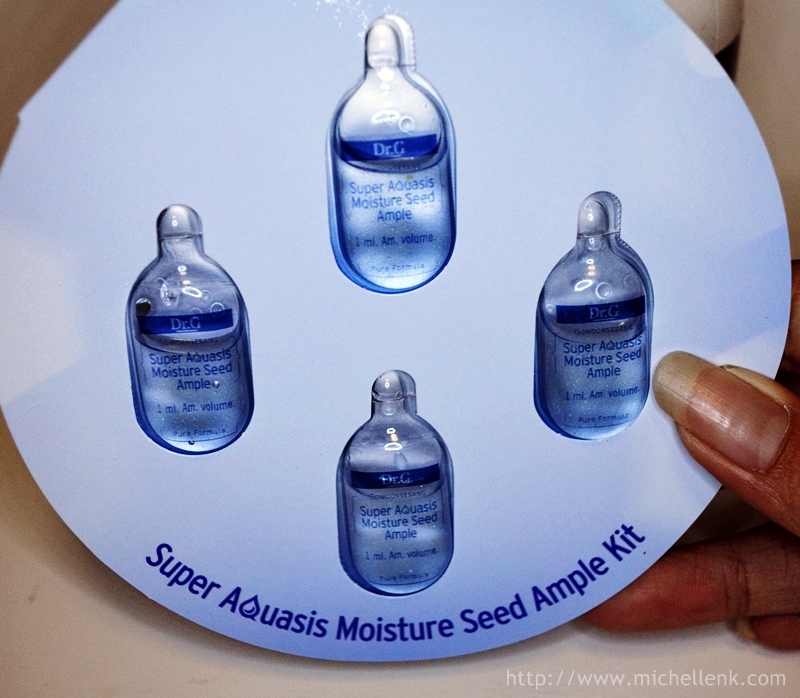 Its easy to spread and absorb, without leaving the skin feeling oily/ uncomfortable after hours. 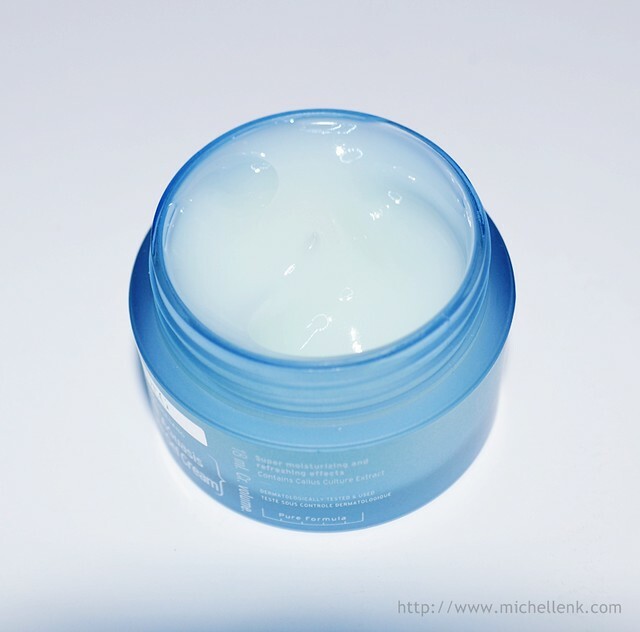 I used it twice daily, and will usually apply more during night time to make it like a sleeping mask. 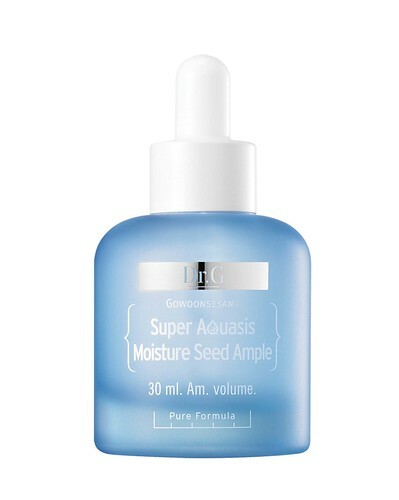 After a week of usage (of all the product in this series), I noticed that my skin is significantly more hydrated and moisture. 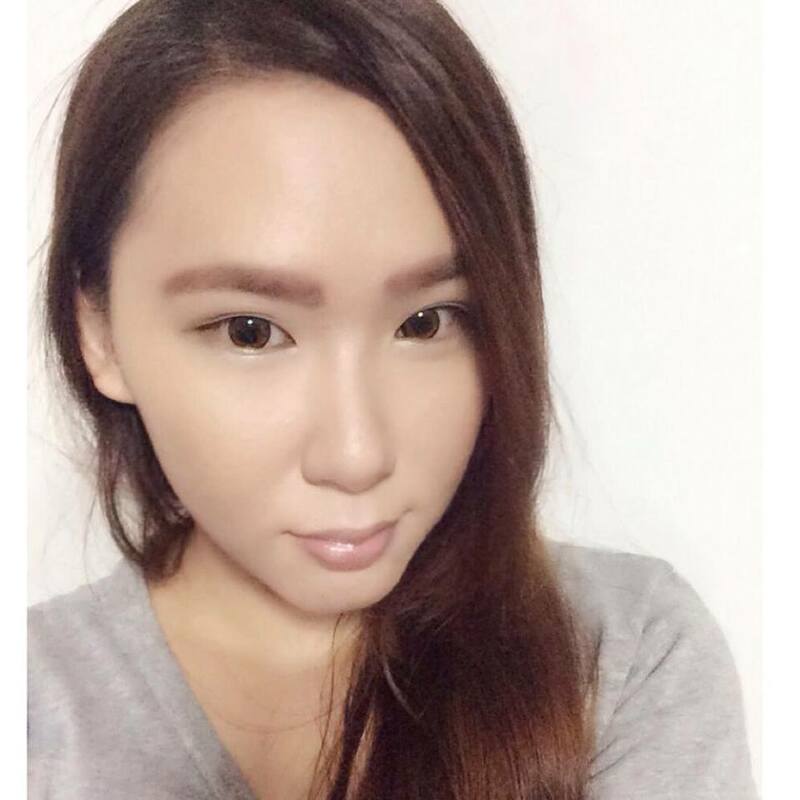 Skin is looking slightly better than before, and its relatively clearer, without causing breakout. I would recommend this to people with sensitive skin, as it won't aggravate the skin. 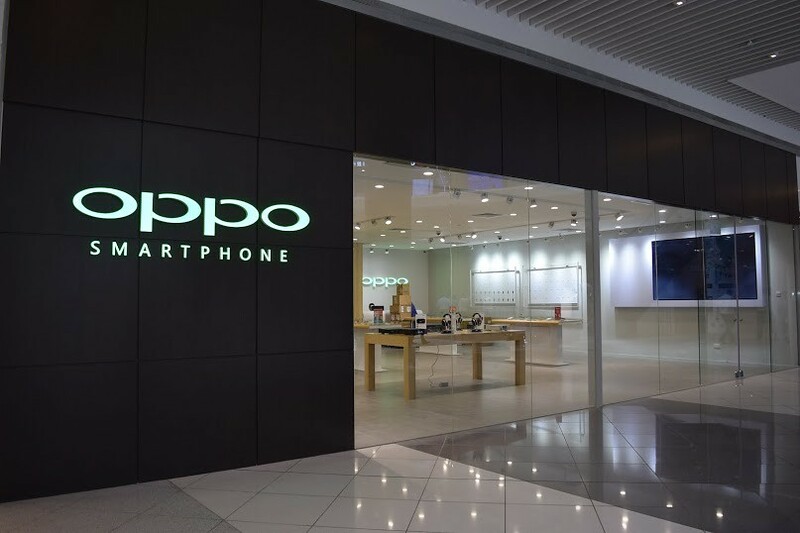 It is available at all SASA Outlets Singapore.